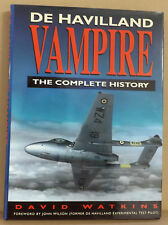 All proceeds from our aviation-related books, gifts, models, clothing & toys go to Farnborough Air Sciences Trust Museum. Charity Commission Reg. No. 1040199. Visit www.airsciences.org.uk The museum is dedicated to Farnborough's proud aviation heritage and significant contribution to air science and research and offers an important educational resource as well as an entertaining and stimulating day out for anyone interested in aviation history and scientific progress. NORMAL MUSEUM OPENING TIMES: Saturdays, Sundays & Bank Holiday Mondays 10:00am to 4:00pm. SatNav: GU14 6TH Entry to the Museum is FREE - we look forward to seeing you there! Royal Aircraft Establishment at War by Richard Dennis - FAST Exclusive! 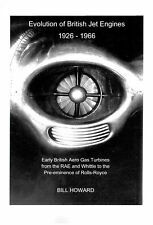 Evolution of British Jet Engines 1926 - 1966 by Bill Howard - FAST Exclusive! RAE 100 - The Royal Aircraft Establishment Legacy since 1918 - NEW & EXCLUSIVE! 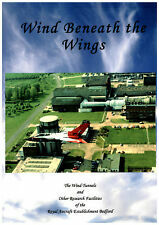 Winkle - Tribute to a Flying Legend by Paul Beaver NEW - RRP £8.95 OUR PRICE £5!